Summary: Background: The decline of fertility in men objectified by many observational studies is one of the issues in the context of assisted reproductive technology. The objective of this work is to study the benefit of moxibustion combined with acupuncture and electroacupuncture (EA) in case of oligo-asthenospermia. Methods: A study of a clinical case study of a treatment according to syndrome differentiation (bian zheng). This case is part of an Kidney-yang deficiency. Results. Moxibustion combined with acupuncture significantly improves mobility and sperm count. The discussion served to temper these results based on the physiology of spermatogenesis and other syndromes zheng, although the many randomized controlled trials and experimental studies showing positive results. Conclusion. In case of a Kidney-yang deficiency, one of the causes of oligo-asthenozoospermia, there is sufficient evidence of effectiveness for that moxibustion combined with acupuncture and EA is part of the panel of health care. Keywords: oligo-asthenozoospermia - Infertility - Acupuncture - Moxibustion - case study – Kidney-yang deficiency. 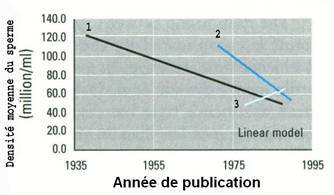 © Stéphan JM. 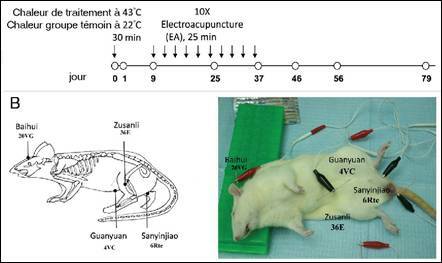 A propos d’un cas clinique : intérêt de la moxibustion, de l’acupuncture et de l’électroacupuncture dans une oligoasthénozoospermie. Acupuncture & Moxibustion. 2012;11(2):118-125.